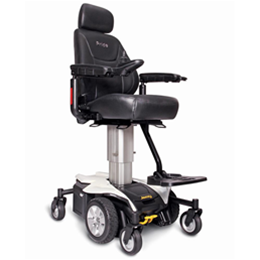 The Quickie QM-710, available in three different styles, is a reliable high-performing, a stylish power base that meets a broad range of client needs. 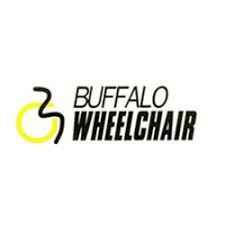 Features like SpiderTrac™ Suspension, an intuitive mid-wheel drive base, and PG Drives electronics provide superior ride comfort over any terrain. 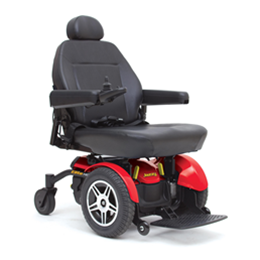 The Quickie QM-710 is available with a full range of sophisticated seating systems including the ASAP™ II traditional rehab seat frame specifically designed for complex clinical power seating applications. The Quickie QM-710 SpiderTrac™ Suspension takes the jolt and forward pitching out of everyday step/curb transitions. Unlike spring suspension caster systems that often collapse when rolling off a step/curb or locking caster systems that prevent collapse but frequently have a jarring impact, the SpiderTrac™ Suspension uses a gas spring system to dampen the impact without collapsing. Result: a super smooth transition onto or off of most any step or curb. You have to experience it to believe it! 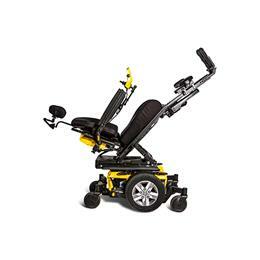 The Quickie QM-710 power base is a fresh new design, but it is built with time tested components, including Linix motors and PG Drives® VR2/R-net electronics. This combination of time tested componentry and design innovation provides the basis for the QM-710’s outstanding performance. To ensure easy serviceability, the QM-710 design team reduced the number of parts in the wheelbase by over 30% from the previous mid-wheel model. They designed the interface system to accept power lift and tilt modules that easily slot in and out. They also went out of their way to route all wiring inside the chair’s modular components. 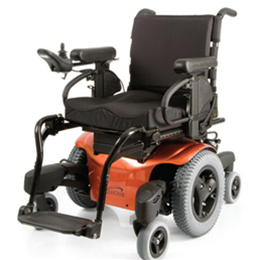 The outcome is a clean, efficient power chair that is easy to service and highly reliable.